(Gallatin County, Mont.) On Saturday March 16, 2018 at 1:38 pm, the West Yellowstone Police Department Dispatch center received a 911 call reporting a snowmobile crash on the Two Top Trail approximately 2 miles west of the Town of West Yellowstone. The injured party, a 45-year-old female from Montana, had sustained a left leg injury when the snowmobile she was a passenger on flipped over while turning a corner on the trail. The driver of the snowmobile was able to call 911 immediately for assistance. Personnel from the Sheriff’s Search and Rescue in West Yellowstone and Hebgen Basin Fire Department.Rescuers met the injured party at the scene of the crash approximately 25 minutes after the initial call for help. The injured female was conscious, but in a lot of pain in the lower left leg area. The patient was placed in a specialized rescue sled and transported to a nearby location to meet an ambulance crew. The ambulance then transported the patient to the Big Sky Medical Center. 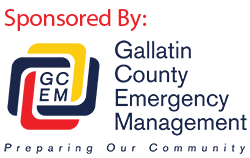 Gallatin County Sheriff Brian Gootkin would like to remind snowmobilers to be careful when recreating in the backcountry, even when on a groomed trail. Changing terrain and trail conditions can sometimes bring unexpected adventure to a fun day of snowmobiling. Always remember to ride with a partner and carry a reliable means of communication in case of an emergency. Because these two riders were together and had cellular communication, rescue responders were able to locate them and get on scene very quickly.